Photo of Jim Coleman as a BYH student in 1935. 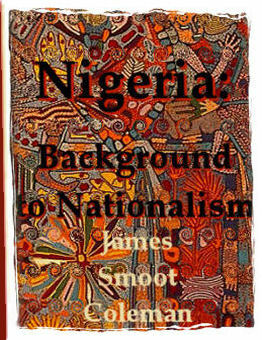 Jim's insights and ideas about nationality, nationalism, and tradition were as deep as any scholar of his time. James Smoot Coleman was born on February 4, 1919 in Provo, Utah. His parents were Jacob Coleman and Allie Smoot Coleman. His mother was the daughter of one of Brigham Young Academy's founders, Abraham O. Smoot II, and his wife Electa Bullock. Jim Coleman married Margaret Tate on February 4, 1944. After her death, he married Ursula Fin. He earned his bachelor's degree at Brigham Young University, his M.A. and Ph.D. at Harvard, and joined the UCLA faculty as an instructor in 1953. From there his career was meteoric. He died from a heart attack on April 20, 1985, at age 66, leaving behind, as one colleague described it, "a dazzling record of achievement." His rise through the academic ranks was a reflection of his prolific scholarly contributions. Within seven years, he rose from Instructor to full Professor and Director of UCLA's African Studies Center. He left UCLA in 1965 to become Head of the Department of Political Science and Public Administration at Makerere University College at the University of East Africa in Uganda. In 1967, he was named Director of the Institute for Development Studies at the University of Nairobi. During that time he also served as an associate director of the Rockefeller Foundation and as its representative in East Africa and Zaire. 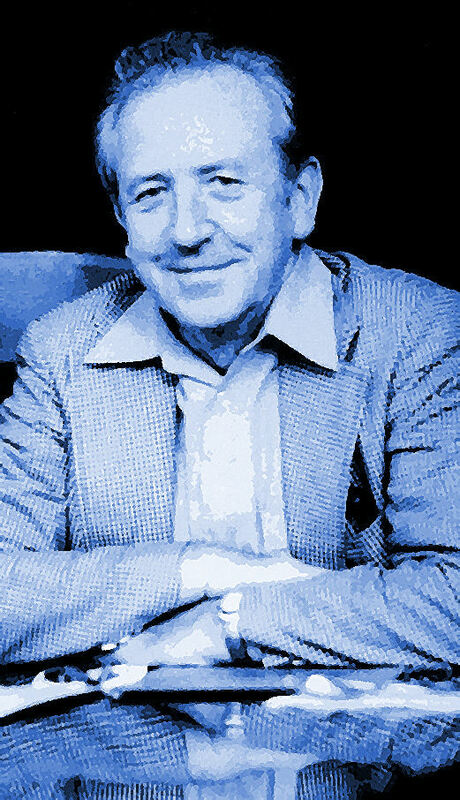 He returned to UCLA in 1978 as Professor of Political Science and Chair of the Council on International and Comparative Studies. He was named Director of International Studies and Overseas Programs in 1984. Jim Coleman was among the first American scholars to recognize, understand, and give voice to the significance of the African perspective. His scholarly contributions are immense and enduring. They lay mostly in his pioneering work on nationalism, education, and development theory. However, he also wrote with flair and authority on such disparate topics as academic freedom and political economy. 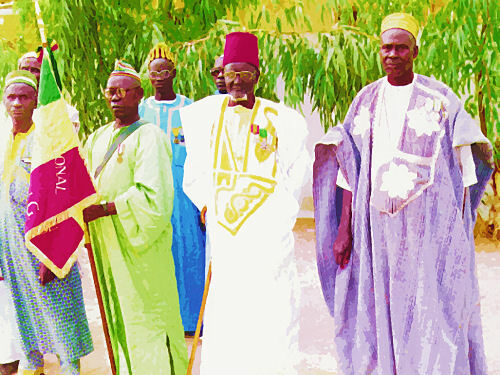 His books, Nigeria: Background to Nationalism and Education and Political Development, are classics in their field. Yet, he was a totally self-effacing man, less wedded to his ideas than most, and swift to acknowledge and accept the challenge of criticism or the introduction of differing opinions by students and colleagues. As both teacher and administrator, he built on success and recognized the potential for excellence everywhere and the quality of it in everyone. Jim Coleman's capacity for work was legendary, his attention to detail meticulous, his vision boundless, and his style graceful, according to those who worked with him. He was kind, some say avuncular, wise, and extraordinarily inventive. His writing style was an extension of his personality -- eloquent and profound with a unique panache, almost baroque, yet utterly understandable, and thoroughly pleasurable. Jim Coleman will long be recognized as a pioneering giant in the field of African Studies. His energy, his integrity, his vision, his dedication, and his selfless respect for others are elements of his character that have made UCLA's African Studies Center the model of excellence -- a standard for others to emulate. In recognition of his lifetime of achievement, UCLA African Studies Center now bears his name -- The James S. Coleman UCLA African Studies Center. Twenty years after his death, colleagues, family, and friends gathered on October 6, 2005 to honor and remember James Smoot Coleman, the UCLA African Studies Center's generous, humble, and brilliant founding director. Friends of the late James Smoot Coleman expressed in various ways that they missed him, and also that they miss a past that he incomparably observed and in some ways shaped. Coleman died in 1985 at 66 after a career as a university teacher and administrator in Africa and the United States. In Coleman's day, according to the remarks of four distinguished speakers, this scholar could paint theories broadly, eliminate red tape to help the talented or needy, marry disciplines gracefully, transcend institutional and national rivalries among scholars, make Americans appear cosmopolitan, win respect in Africa and the West, stop generalizing when it did no good, secure federal education dollars, and always shift the conversation away from himself. Speakers honoring Coleman at UCLA's Royce Hall were Africanists David Apter of Yale, a political scientist and sociologist; Joel D. Barkan of the University of Iowa in Iowa City, political scientist; Merrick Posnansky, historian and anthropologist; and Richard L. Sklar, political scientist. Posnansky and Sklar are UCLA professors emeriti. The speakers were introduced by Allen Roberts, director of the James S. Coleman African Studies Center (ASC), which sponsored the event jointly with the UCLA Department of French and Francophone Studies. Coleman's wife, Ursula Coleman, and son Jim Coleman Jr. were guests of honor. Coleman's credits include two books mentioned earlier, and a total of 13 years (1965–1978) as a university administrator in Uganda, at Makerere University College; in Nairobi, Kenya; and in Dar es Salaam, Tanzania. In addition to directing the UCLA African Studies Center, the job he held prior to the long period abroad, in 1984 he became the first director of UCLA's International Studies and Overseas Programs (ISOP), later renamed the International Institute. Coleman also initiated an important exchange of American and African professors and brought, in Posnansky's words, a "critical mass" of students from Africa to America. The U.S. professors who participated, including Roberts, traveled to Zaire (now the Democratic Republic of Congo) to take part in a social sciences program. One theme of the tributes to Coleman was sheer awe at his ability to take on work. Among individuals with a remarkable drive to learn and achieve, Coleman's required and still requires explanation. In his remarks, Apter noted that Coleman, born in 1919 in Provo, Utah, was brought up in the Mormon church. "The key to the man's drive, to that energy, to that commitment, goes back to that lapsed Mormonism," he said. Apter described Coleman as a "missionary in the best sense" whose "only church was belief in Africa itself." According to Apter, Coleman had been told, before such racist theories were abandoned by mainstream Mormons, that "the sons of Ham are cursed." The biblical curse of Ham's descendants by Noah has sometimes been used to justify conquest and enslavement of Africans. Apter said that Coleman's conscience had been shocked by the injustice of that teaching. Sklar and Posnansky also offered personal remembrances of Coleman, speaking to his generosity and, a related trait, his receptiveness to ideas. Sklar said that Coleman had made the African Studies Center the "intellectual home of pluralism" and that "Jim's insights and ideas about nationality, nationalism, and tradition were as deep as any scholar of his time." Posnansky said that Coleman had shaken Makerere out of a "colonial mindset" while greatly softening resentments that British academics felt towards their American counterparts. His work was admired not only by Westerners but also, and "universally," by African scholars, Posnansky said. A former student of Coleman at UCLA, Barkan remembered Coleman as an "awesome individual, larger than life", who made up for forgetting graduate students' names by calling them all "chief." In turn, they dubbed Coleman "The Chief." What is the Legacy of James S. Coleman? Evaluating the durability of Coleman's ideas about African politics, Barkan argued that "modernization theory" as espoused by Coleman and others could be recast as a "theory of democratization." Viewed narrowly as a set of predictions, modernization theory had been too optimistic, Barkan said, in its vision of a course of African development that would "emulate or parallel the course of the West." However, Barkan said, Coleman had gotten the key points of political development for emerging democracies right. He had gotten them right for a wide variety of cases, including those of India, South Korea, Thailand, Taiwan, and South Africa. And he had accomplished this in a bolder age of scholarship, when caution, though valued, did not stifle grand claims. Roberts said that Coleman's example was a motivating force not only for scholarship at the UCLA African Studies Center, but also for broader education and outreach efforts. Roberts recognized partnerships with three people who attended the Oct. 6 tribute: Marcia Thomas of USA for Africa, a Los Angeles-based non-governmental organization that co-sponsors events with the ASC; Patrick Burke, a usability analyst for the UCLA Office of Information Technology, who is himself blind and is helping the ASC to develop a program of outreach to provide sight-impaired Zimbabweans with brailled AIDS-awareness materials; and Ray Carlson of the Altadena Rotary Club, who is working with the ASC on a series of initiatives to encourage small-business development in Africa. James Smoot Coleman died on April 24, 1985 in Los Angeles, California. He is buried in the Provo City Cemetery. --Special thanks to the James S. Coleman UCLA African Studies Program for large portions of the above biography.